If you have not heard of COMFORT ZONES or more precisely LIMITING COMFORT ZONES you should be wondering why you seem unable to be a leader and high performer. Perhaps it is time you check out what comfort zones of the mind really are. For the enlightened you will be interested to know MindPower Recognition; the creator of Neuro-fault Protection has made a new breakthrough in resolving this limiting problem. It is all to do with what were once support programs that helped you to perform and achieve. Time and circumstances move on, so eventually like most things in this fast moving world, they become redundant and therefore turn into limiting beliefs and values and thus limiting performance barriers. Unbeknown to you these barriers keep you in your comfort zone of underperforming. You may know something is stopping you but you do not know what. The Neuro-fault Protection’s breakthrough has been in identifying where these limiting programs are in the brain and how to eliminate them quickly and definitively. Comfort zone protectors are held with the 7th Sense Intelligence in the brain and explained in Robert Denton’s new book High Performance After Burnout – Fix the stress before the damage is done. Watch the pages section above for the page that gives a brief description of what “Comfort Zone” is. Neuro-fault Protection training and coaching provide the quality mentorship and training based on a depth of experience to keep you well away from the stresses that can so easily stunt your development or even bring your life dreams, career and projects tumbling down. Your mind can work for you IN A FAR BETTER WAY. 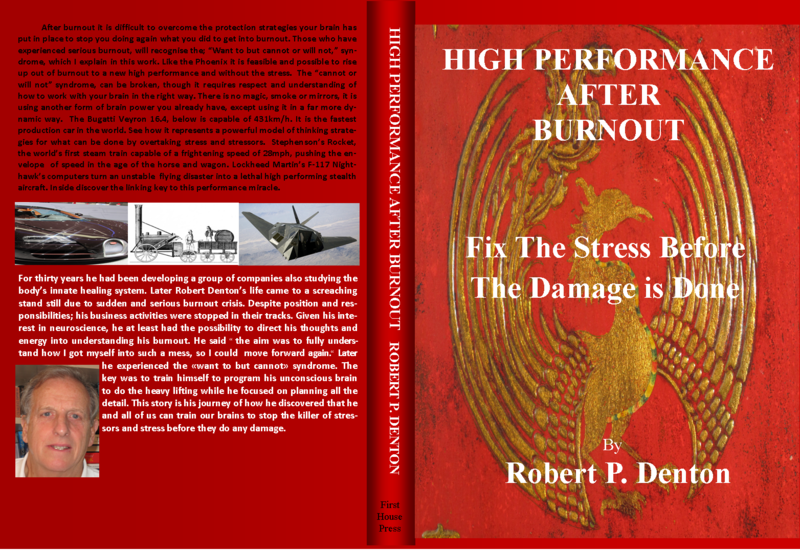 It is all in Robert P. Denton’s new book, High Performance After Burnout – Fix the stress before the damage is done. A layman’s guide to how and why you think the way you do.